Showing 14 articles from May 5, 2013. Editor’s Note: Below is Part II of the Tokeland Marine Redevelopment Project. A group of Tokeland area residents, working with the Port of Willapa Harbor, has developed a master plan for redevelopment of the marina in this small, northern Pacific County community. It’s an exciting project and process for local leaders and planners. Did you notice the commotion in town? Photo Courtesy of Josh Camenzind Josh Camenzind, right, with his grandfather, John Bumford, a Navy veteran. Raymond High School senior Josh Camenzind is weeks away from graduation, but his post-high school plans are firmly in place. 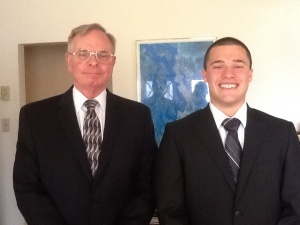 He heads to West Point, the U.S. Army’s military academy, in early July. If you’re looking for a special something for Mom this Sunday, you might consider taking her to the Raymond Theatre to hear Brownsmead Flats, brought to you by Sunday Afternoon Live. The Willapa Valley Grange hosted a community Caregivers Fair (April 20) to provide information on how to negotiate issues that arise for caregivers. Clifford E. “Kip” Smith, 97, a longtime South Bend resident, died Thursday, May 2, 2013 at the Willapa Harbor Hospital in South Bend. He was born February 27, 1916 in South Bend to Myron and Maggie (Cross) Smith. 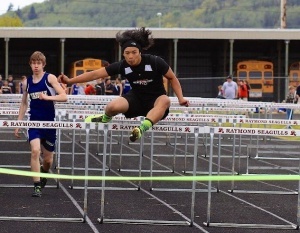 Photo by Paulene Maneman Raymond HS junior Alex Sida clears a hurdle in the 110-meter race last Thursday at Seagull track. 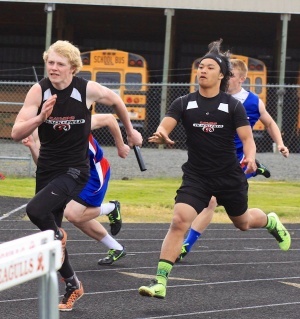 “We had a very busy week this past week,” Raymond HS Head Track and Field Coach Mike Tully told the Herald. 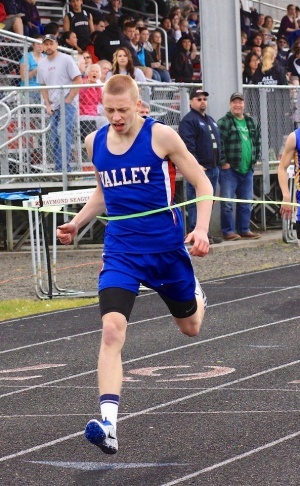 Below are Willapa Valley HS Head Track and Field Coach Dave Ege’s comments on how his teams performed last week.